Superdry men's Japan Breakers utility jacket. Tap into the athleisure trend this season with the Japan Breakers utility jacket, featuring a bungee cord adjustable hood, zip fastening and a bungee cord adjustable hem. The jacket also features two zip fastened front pockets and hook and loop adjuster cuffs. 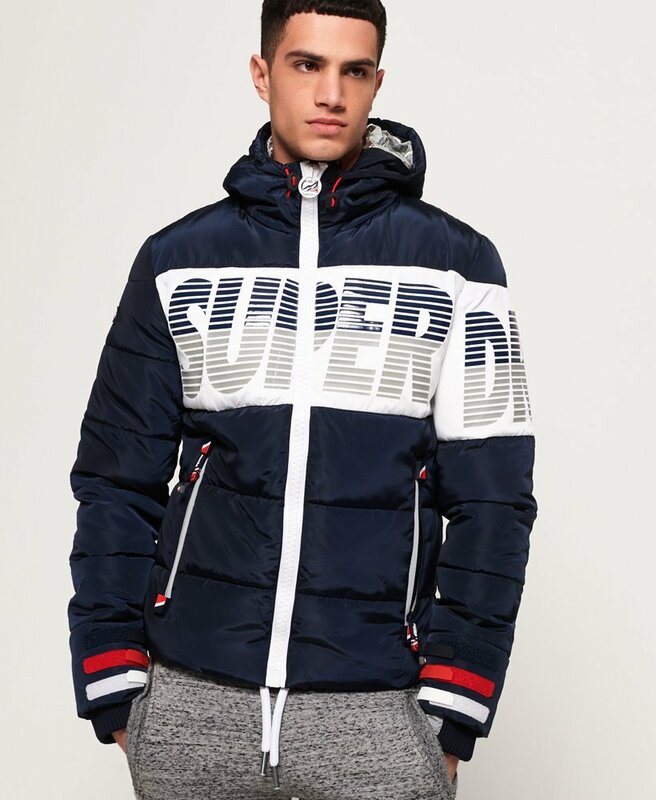 The Japan Breakers utility jacket is completed with a textured Superdry logo graphic across the front and on one sleeve, and a Superdry logo badge on the opposite sleeve.